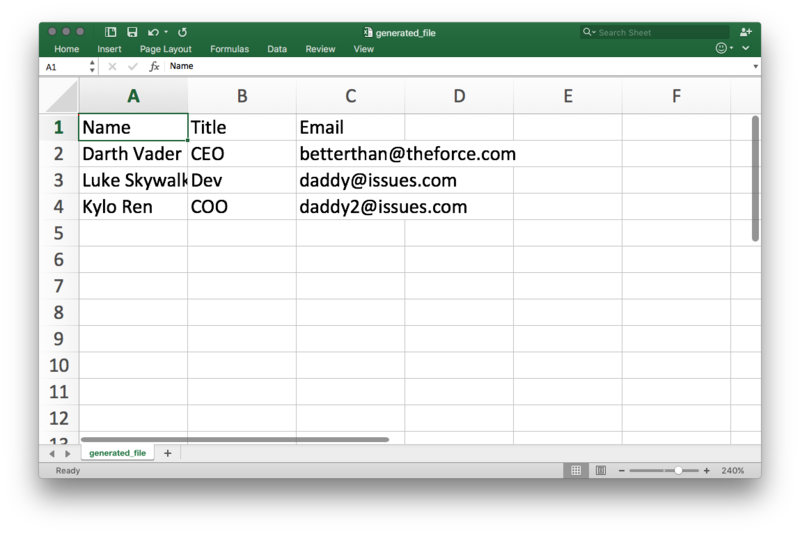 This coding exercise will walk through how you can build a CSV file generator that will allow you to export data that can be viewed in applications such as Microsoft Excel. Build a CSV File generator in Ruby. 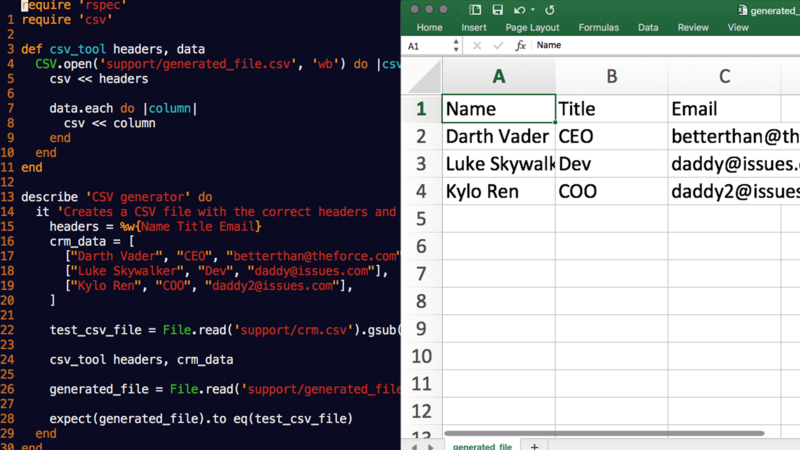 This coding exercise examines how to build a method that takes in a collection of data and generates a CSV file that can be viewed in applications such as Microsoft Excel. Being able to generate CSV files is a common feature I'm asked to build in a wide variety of applications. Many users need the ability to export data and CSV is one of the most popular methods for reports because they can be opened in Excel.